The 22-year-old an English actress Sophie Turner, who began dating Joe Jonas in 2016, in bikini out with Joe Jonas by the Delano Hotel pool in Miami. The 22-year-old an English actress Sophie Turner in a black leggings was seen out in SoHo in NYC. The 22-year-old an English actress Sophie Turner, who played mutant Jean Grey in X-Men: Apocalypse, wears a black leggings out in Soho, New York City. The 22-year-old an English actress Sophie Turner arrives with her boyfriend Joe Jonas at 34 Restaurant in Mayfair, London. The 22-year-old an English actress Sophie Turner, who had her first big screen role in the 2013 film “Another Me”, was seen out with her boyfriend Joe Jonas in Sydney. 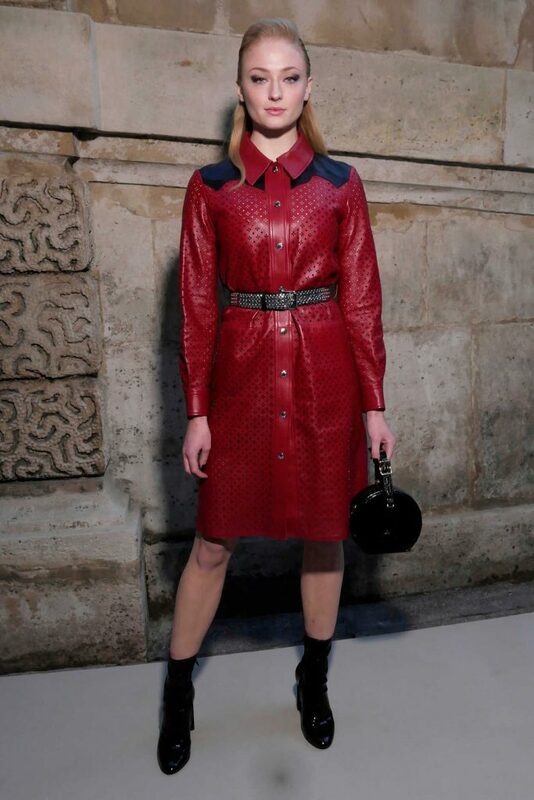 The 22-year-old an English actress Sophie Turner, who made her television breakthrough as Sansa Stark on HBO’s “Game of Thrones”, at the Louis Vuitton Show during the Paris Fashion Week in Paris. The 22-year-old an English actress Sophie Turner leaves the Sammy’s Restaurant after celebrating her 22nd birthday in NYC. The 22-year-old an English actress Sophie Turner, who played mutant Jean Grey in X-Men: Apocalypse, which was released in May 2016 to mixed critical success, was spotted out in New York City. The 21-year-old an English actress Sophie Turner, who plays the role of Heather in the 2014 film “Barely Lethal”, was seen out in Rio de Janeiro. The 21-year-old an English actress Sophie Turner arrives for her engagement party and dinner with her boyfriend, the 28-year-old pop singer Joe Jonas.